Happy Friday! You guys may have noticed I haven’t been around much this week — I haven’t posted a single thing since last Friday. Life has been getting in the way, particularly with the holidays coming up. I did a lot of reading this week, even though it initially may not look like it. Nothing! But see below. I swear I’ve been reading. So I had been struck by a bit of a slump. I didn’t want to read anything and I was really feeling the pressure of getting books finished, reviewed, and posted here. I’ve previously identified some of the signs and cures for reading slumps, so I followed my own advice for once and decided to pick up something completely different. Night Film is a psychological thriller surrounding Hollywood films, the occult, and a very grumpy ex journalist. It’s so different from what I’ve been reading lately, and that’s a good thing! Night Film is a long book and I’ve been devouring it all this week. At almost 600 pages, it’s the reason why I don’t have anything else finished this week. However, I am hoping to get it done tonight! I’m not quite sure what I think of it yet — I have a feeling that the ending will make a big impact on my final thoughts. I am almost done with the audiobook of The Way of Kings. This is a reread (re-listen??) in anticipation of reading Oathbringer. I have the audiobook of Words of Radiance on deck when I finish up this one. I’m so glad I decided to revisit the first two books before cracking open Oathbringer — there’s so much I had forgotten! This is the first time I’ve ever really listened to an audiobook and I don’t really know what to do about it. Do I put in in my Goodreads? Do I count it here? What do I do?? Help! I recently read The Lies of Locke Lamora and absolutely loved it! I was with my friend who recommended it to my last night and we spotted the sequel on the shelf at Waterstones. Of course I had to get it. I actually initially wanted to read Locke Lamora because of this book. It features pirates, in particular a grumpy older lady pirate captain. What’s not to like? Plus, Jeeean! He’s the best. I also hit up a lovely used bookstore with the same friend (we’re a bad influence on each other) and I bought a ton of books. There were honestly too many to list here, so you can take a look at my book haul video if you’d like to see what I got. I got 11 books for £15 and will definitely be going back there soon! That’s it for this week! We’re packing our bags and heading off to London tonight for a slightly delayed Thanksgiving. It will be Scottish Fiance’s first Thanksgiving. I plan to get lots and lots of reading done! Also, t’is the season. I bought my Christmas jumper last night. 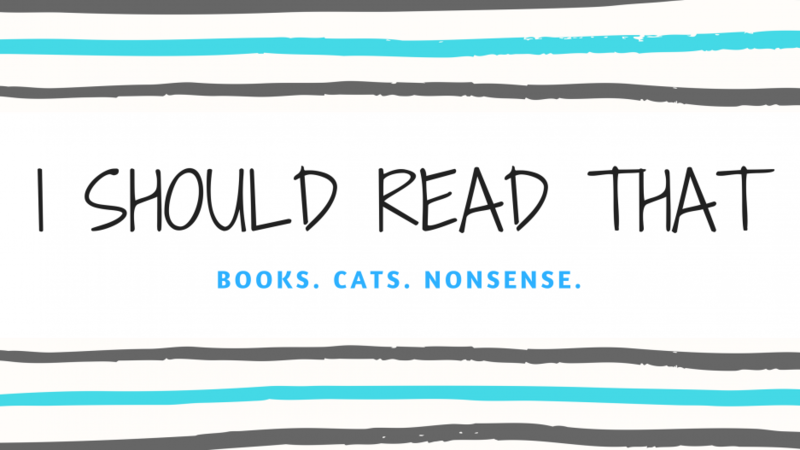 Now it’s your turn: what have you read this week? Have you read any of these books? Are they in your TBR? Let me know! I think I’m going to start adding them to Goodreads. Everything counts!